As soon as I came across this large black envelope at work, I knew it needed to be saved and altered. Its matte texture and thick paper made it perfect to work on. 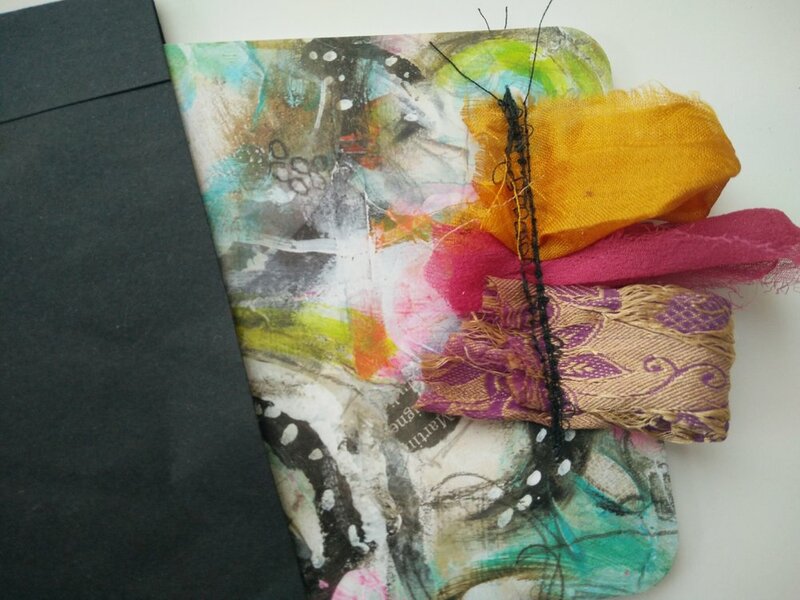 I knew that the Urban Fringe Art Pops™ were perfect in contrast to pop against the black of the envelope. They are the perfect place to start when building up a collage focal point. Combined with the Mixed Media Essentials stamps, the project came together very easily! I am so in love with both of these products! 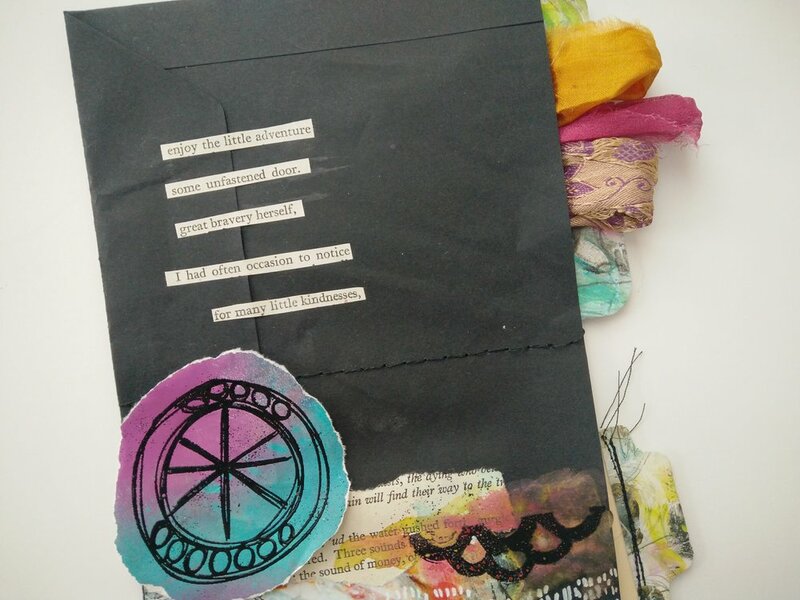 As I am currently knee deep in The 100 Day Project with the theme of "found poetry," tying it together with this tutorial and Roben-Marie's products, fit perfectly. By altering the envelope I have an ideal house for multiple poems now in one place.